Hunt To Read: Free Featured Fiction: "Robo Rooter"
We're still tinkering with the timing of the various features on the HTR blog. What became very clear over the course of the first week was that our series were overwhelmingly author-heavy, with only FREO as a reader-centric counterbalance. We convened the braintrust of Hunt to Read and put all of our resources behind the problem. What we came up with was unsurprising: Readers want to READ! 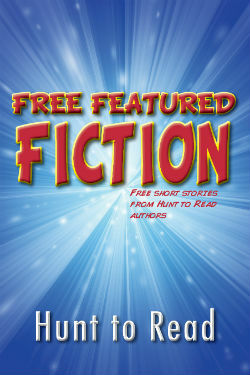 So we're starting a new series that we hope to make weekly: Free Featured Fiction. Each week, we hope to host a story by a different Hunt to Read author. All genres are welcome; if you're an author and want us to feature one of your stories, please check out our submission guidelines here. For the moment, we only have my stories in the pipeline, but I'm sure that will change shortly. This first entry is a story I wrote almost a year ago. It's a funny tale about the direction our society is going, automating everything, yet trying (and failing) to replicate human interaction. It's called "Robo Rooter," and I hope you enjoy it. Word of caution: there is mild swearing in it, so if that's not your kind of thing, feel free to skip this one and catch us next time. Enjoy! The knock on the door was sharp, but polite. Eric half-threw his tablet on the glass coffee table with a dull “thud.” His knees groaned with protest as he pushed himself out of the well-worn divot of the leather sofa and toward the entrance to the apartment. He fumbled with the latch for several moments before he unfastened it, then unbolted the lock and turned the knob with anxious resignation as he gave the door a healthy pull. He knew what to expect, but was still jarred when it actually presented itself: the aluminum (or was it titanium?) skeleton, coated with a rubbery, plastic composite material, and formed into a vaguely human face, though the visage was different enough to dispel any notions that this was anything more than an advanced tool. “Hello,” the voice was overly-warm, perhaps the result of too much meddling by too many engineers and programmers. “I am Robo Rooter, unit number…3…6…1…” Unfortunately, when it got to the numbers, any humanity drained from the contraption’s tone, and it became more metallic and almost menacing. It extended its right appendage, which was opaque plastic over brushed-metal, simultaneously exceedingly capable and frightening. Eric had little choice but to grasp it, and found his robotic counterpart’s handshake to be slightly-less-than-firm. “Uh…nice to meet you unit number—"
“Please, call me ‘Jerry,’” the robot plumber curled its lips into a curt smile, though the vacancy of its eyes belied the intended effect. No sooner than Eric had said the words, the robot took three rigid steps inside the door and stopped. “You have a lovely home,” Jerry took several steps into the living room, and paused when it reached the coffee table. It bent over to look at the tablet Eric had cast down moments before. Eric practically leapt at the tablet and snatched it from the robot’s prying eyes. He looked at the machine’s face for a wink, a nod, something that might provide the vaguest indication that it understood. Instead, the machine’s cold eyes stared back, the empty smile ever-present. “Did you see the…local team…play last evening?” Jerry asked. “Uh…sure. Boy, that was somethin’, wasn’t it? Gerald Allen really can mash the piss outta the ball, can’t he?" “Are you a heterosexual or a homosexual?” Jerry asked. “Sure…sure, I guess…” Eric sighed. “Now if you please don’t mind, the toilet?" Sure seems like your job is making annoying conversation, Eric thought. “Now…where is the problem located?” Jerry said. Eric’s mouth drew taut as he puffed out his cheeks and sighed deeply. Jerry finally took several heavy steps toward the powder room. “Please state the nature of the problem." “Tell ya’ what, why don’t we start with the auger…thing…and then go from there, okay?" “All right,” Jerry said. Eric could’ve sworn the robot scowled. It opened a compartment in its chest and pulled out a thin telescoping rod with a snake-like hose attached. Eric nearly retched when the robot wrenched off the right hand that he had grasped moments before, attached the device, and plunged it into the toilet. “Yes…this is your problem here…” Jerry said. “Processing…processing…” the snake whirred to life as Jerry’s “eyebrows” flexed with mock effort. “Almost…almost…there…” The snake retracted back into the rod and Jerry pushed the handle with his left hand. Immediately, the water in the bowl swirled, and, true to form, emptied down the drain. “That’s fi—” Eric then remembered the casual manner with which the robot had surveyed the “incriminating” material on his tablet. Clever bastards…he thought. Between those types of snafus and the various embarrassing “problems” that may require plumbing, these plumbers were running a nice little racket. Eric took out his phone and held it in front of Jerry’s face. The robot’s mouth glowed for several moments as it read the information off of the device. The light shut off and an old-fashioned, paper receipt spewed from the robot’s mouth. The receipt automatically tore off, and Eric grabbed it. “And you guys guarantee your work for thirty days?” Eric asked. The robot moved toward the door swiftly, each step a loud “CLOMP” on the thin laminate flooring. 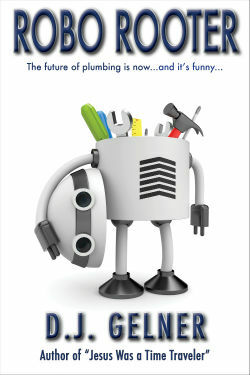 “Thank you for using Robo Rooter. Have a wonderful day,” the robot opened the door and extended its right hand with a smile. Without thinking, Eric grabbed the appendage and shook it. Seconds later, after a curt nod, Jerry was gone.